The National Science Foundation (NSF) of the United States announced on 12 May 2010 that the Foundation, in partnership with the Bill & Melinda Gates Foundation, is awarding 15 grants worth US$20 million in support of basic research for generating sustainable solutions to big agricultural problems in developing countries. These are the first grants in a new five-year Basic Research to Enable Agricultural Development (BREAD) program, which is jointly funded by NSF and the Gates Foundation. The awards in this first year of funding will allow leading scientists worldwide to work together in basic research testing novel and creative approaches to reducing longstanding problems faced by smallholder farmers in poor countries. Scientists from the Nairobi, Kenya, animal health laboratories of the International Livestock Research Institute (ILRI) will participate in 2 of the 15 projects selected among the many submitted to BREAD for funding. 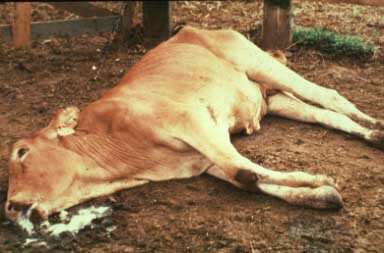 Biologists at New York and Michigan State universities and Regeneron Pharmaceuticals (USA), the Roslin Institute and the University of Edinburgh (UK) and ILRI (Kenya) will test a novel approach to developing cattle that are resistant to trypanosomosis, a deadly cattle disease that is closely related to sleeping sickness in humans and that holds back animal agriculture across a swath of Africa as large as continental USA. 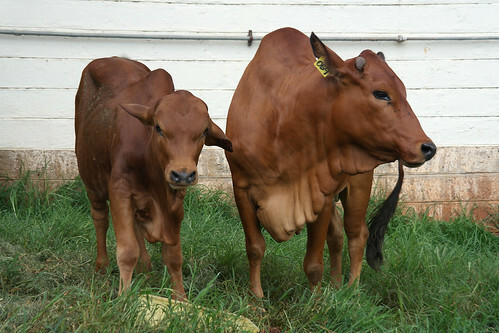 In another project, scientists from the University of Vermont and Plum Island Animal Disease Center (USA) will work with the University of Copenhagen (Denmark) and ILRI on use of advanced genetics to develop vaccines for East Coast fever and other cattle diseases that threaten the livelihoods of millions of smallholder farmers in sub-Saharan Africa. New study results are warning that the conversion of pasturelands to croplands will be the major contributor to global warming in East Africa. 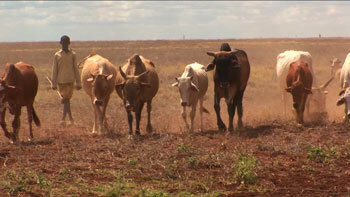 Climate change is a real and current threat to households and communities already struggling to survive in east Africa. Global climate modelling results indicate that the region will experience wetter and warmer conditions as well as decreases in agricultural productivity. However, results just released by the Climate Land Interaction Project (CLIP) forecast that there will be a high degree of variability within the region with some areas becoming wetter and others drier. This research provides evidence of the complex connection between regional changes in climate and changes in land cover and land use. The results forecast the conversion of vast amounts of land from grasslands to croplands over the next 40 years, with serious consequences for the environment. CLIP is a joint research project of Michigan State University (MSU) and the International Livestock Research Institute (ILRI), supported by the National Science Foundation (NSF), exploring important linkages between land use/cover changes and climatic changes in east Africa. CLIP researchers, together with the Kenyan Ministry of Environment and Mineral Resources, organised a workshop to present CLIP modelling results to key decision-makers in Kenya. The workshop, held in Nairobi, highlighted the policy and technical implications and options for climate change adaptations in Kenya. CLIP researcher and professor at MSU, Jeffrey Andresen, warns that the erosion of east African grazing lands is a major threat facing Kenya and other east African countries. ‘Results of running these models indicate that the greatest amount of contribution to global warming in the east Africa region is not going to be motor vehicles or methane emissions from livestock or conversions of forests to pastures but rather conversion of pasturelands to croplands’ says Andresen. Based on climate change scenarios (CLIP analysis and Intergovernmental Panel on Climate Change (IPCC) forecasts) northern Kenya will experience significant changes in rainfall and temperatures with some places becoming wetter and others drier. These changes will have dramatic impacts on ground cover and vegetation, especially the distribution and composition of grass species that form pastures for livestock and on which many people depend for their livelihoods. Simulation models predict that areas in the remote northeast around Wajir, for example, will have greater vegetation cover and become much bushier than at present. Grazing lands are already scarce and the increasing encroachment of bush into grazing areas will create further problems for livestock keepers. The quantity and quality of water will also be affected by the forecast changes in rainfall patterns and temperature regimes. These changes will not only affect water availability for humans and livestock but also accelerate the rate of vegetation change in different and opposite ways for different places. The ratio of tall to short grass species and closed to open vegetation, for example, depend partially on soil moisture content. It is likely that the anticipated climatic changes will greatly alter the grass ratios and these changes will then exert adverse effects on feed resources for livestock and significantly modify herd composition. In addition, traditional land management interventions, such as the use of fires and overgrazing may increase the scale, intensity and speed of these impacts. CLIP researcher and ILRI scientist, Joseph Mworia Maitima concludes ‘Many millions of Kenyans already face severe poverty and constraints in pursuing a livelihood. But, with these projected increasing environmental stresses, they are going to become even more vulnerable.